Trending at $22.53eBay determines this price through a machine learned model of the product's sale prices within the last 90 days. All tabs and mounts broken or missing, several holes in housing. 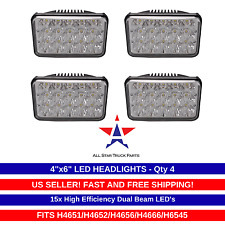 $--- QTY 4 4x6" LED Headlights with DRL Features: ------Low and High Beam with DRL Center Strip ------8x High Efficiency Dual Side emitting diodes 1x Center DRL ------ Great replacement for incandescent lights ---------No bulbs to replace ---------No brittle filaments ------Sealed housing and high grade PC lens with 96% transparency ------20W Low beam (1800 Lumens) / 24W High beam (2150 Lumens) ------6000-6500K Cool White Output ------H4 Plug with 2 wire DRL Connection ------30,000 Hours Lifetime ------UV-cured Chrome Finish for Durability ------9V-32V DC Input Voltage 4x6 Sealed beam replacement LED lamp with OCTILUMEN 8 High output 3W LED provide impressive light output. Perfect for vehicles and tractors with the H4651/H4652/H4656/H4666/H6545 type headlamp. 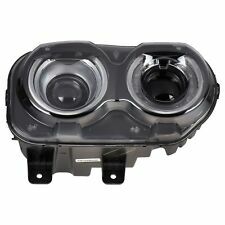 --- We ship world wide with a few exceptions Customers Outside of the U.S.
2015-2019 Dodge Challenger FACTORY OEM HID RT HEAD LIGHT68384438-AA. 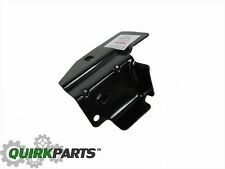 This is an OEM factory part. Sold in "as is" condition. Part Number: F90015. Established in 1959! 2015-2018 DODGE CHALLENGER. FITS MODELS WITH HALOGEN TYPE BULBS (NON-HID). If for any reason you are not we will take the part back. Part Number: 9012LL. Established in 1959!